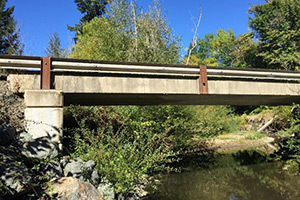 The UCC Forest Engineering program prepares students for transfer to the bachelor’s degree at Oregon State University (OSU). The curriculum is intended to meet the requirements for the first two years of course work necessary for application to the Forest Engineering professional program at OSU. Students can also take additional courses at UCC for transfer to the dual Civil and Forest Engineering program at OSU. Students that finish the coursework will complete at UCC with a two-year AS degree. The two-year degree may also provide a direct career pathway to employment as a Forest Technician or Engineering Technician. UCC also offers related degrees in Forest Operations, Forest Management and Natural Resources. Please contact the program advisor for more information. Find out about jobs and career paths for Forest Engineers and Forestry Technicians. The Forest Engineering curriculum is intended to meet the requirements for the first two years of course work necessary for application to the Forest Engineering professional program at OSU. Students can also take additional courses at UCC for transfer to the dual Civil and Forest Engineering program at OSU.